Huge Buy Signal Opportunity ! We have advised our client base to look at buying as of the last 48 hours (10th July) and in fact we have seen a +5% move in Silver in that time frame from the lows of US$ 15.23 (we actually saw a flash crash down to US$ 14.38 which literally lasted seconds), and gold of US$ 1,205.47. What is driving these markets ? Now we tend to look at many different indicators including technical charts picture, oversold and overbought metrics, macro-economic backdrop, supply / demand metrics etc, etc.. But one of the key indicators not to be ignored is what the bullion banks are doing on the futures markets in silver (particularly silver) and gold. Especially considering their unprecedented historical sized positions and the fact regulators are blindly ignoring their illegal activity. Indigo Note : This chart only covers data up to 3rd July 2017, this last week since that date the short covering buying by bullion banks has been huge. 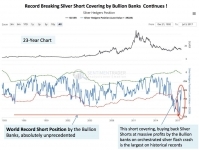 This short covering, buying back of silver shorts at massive profits by the Bullion banks on an orchestrated silver flash crash is the largest based on historical records. They have driven their clients to stop loss out of their positions while the banks have not only made massive profits on these paper moves, but also allowed the banks and sovereign wealth buyers to accumulate physical at artificial low prices. This signal by the Bullion banks buying is enormously bullish for silver in the bigger picture ! As PM Fund Manager Dave Kranzler stated this week…. Wow. The hedge funds are almost net short silver contracts again, having had their algos steered into that predicament by the bullion bank market manipulation. The fraudulent paper short position in both gold and silver – but especially silver – is many multiples larger than the available supply of physical metal that is supposed to legally back commodity derivatives. This is evident from the Comex disclosures. We have no idea what the total net short position would be including LBMA forward contracts and OTC derivatives. That the entities who are paid by the public to prevent this continue to allow and enable this massive fraud is a tragic commentary on the current U.S. economic, financial and political systems. 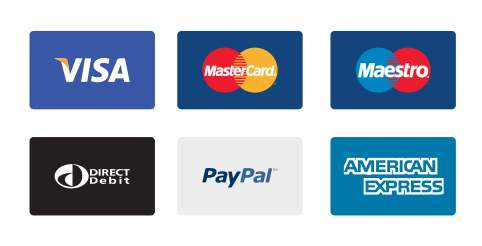 Please call us for advice on products, pricing, tax-free investment, vaulting or shipping . Protect your wealth; invest in physical gold, silver or other precious metals at best prices from Indigo Precious Metals. Physical delivery across the world.